Welcome to the Animal Therapy Center! 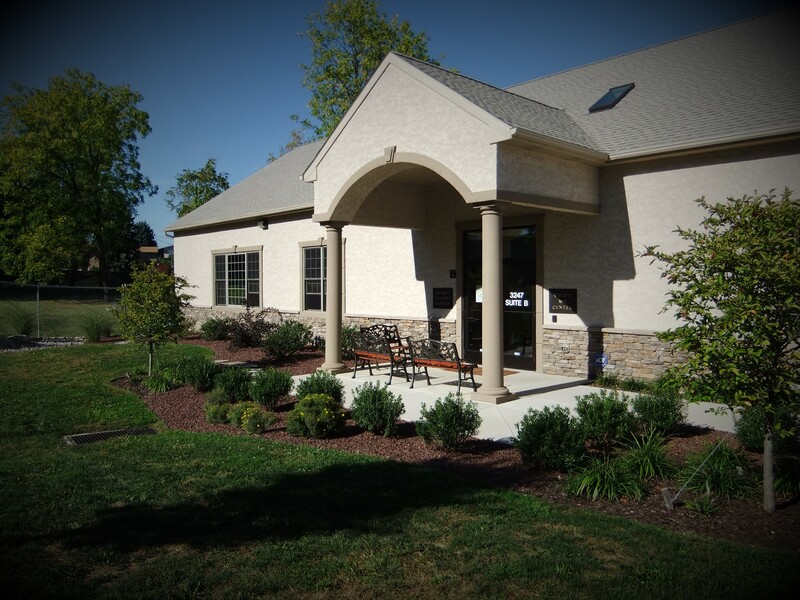 The Animal Therapy Center was built with your pet in mind! 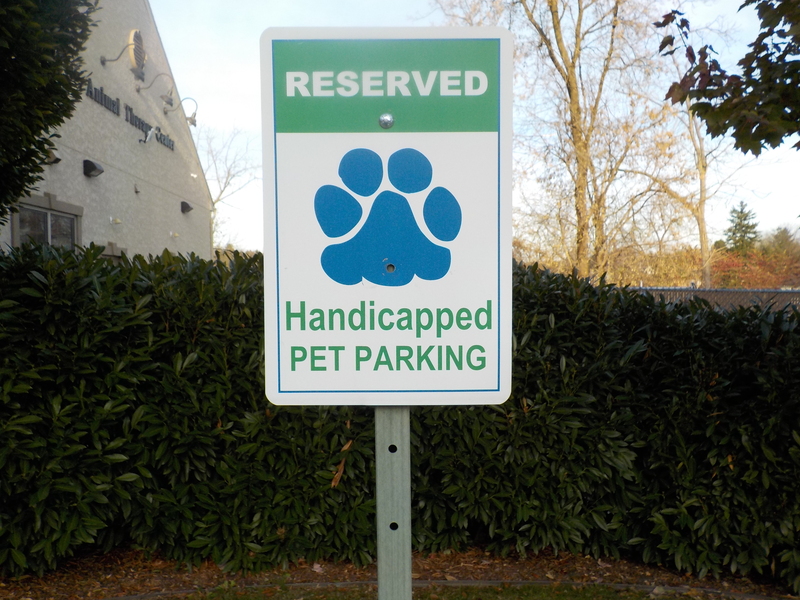 We offer easy access to our building with designated parking for pets with limited mobility. 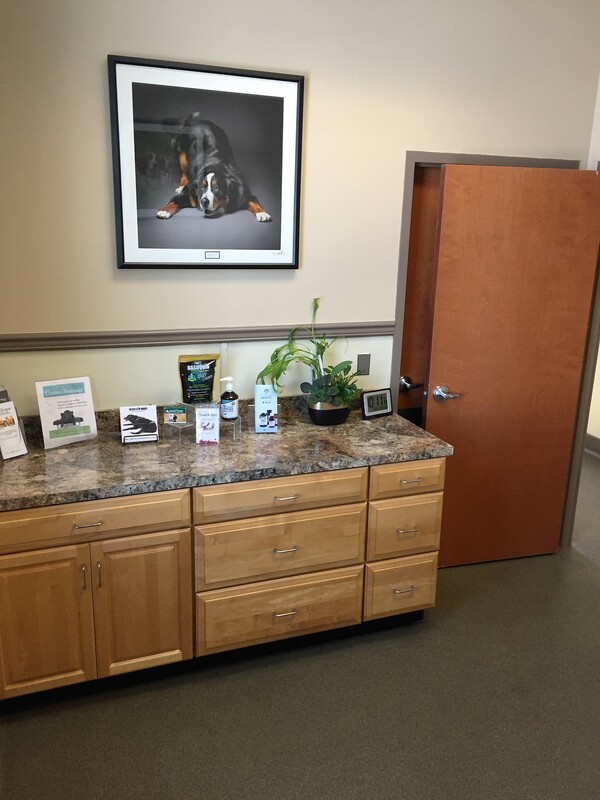 If your pet has mobility issues, we have reserved parking so that your pet can easily enter our facility. If you need help with navigating your pet in and out of your vehicle we are here to help. Just give us a call and one of our experienced staff members will assist you. 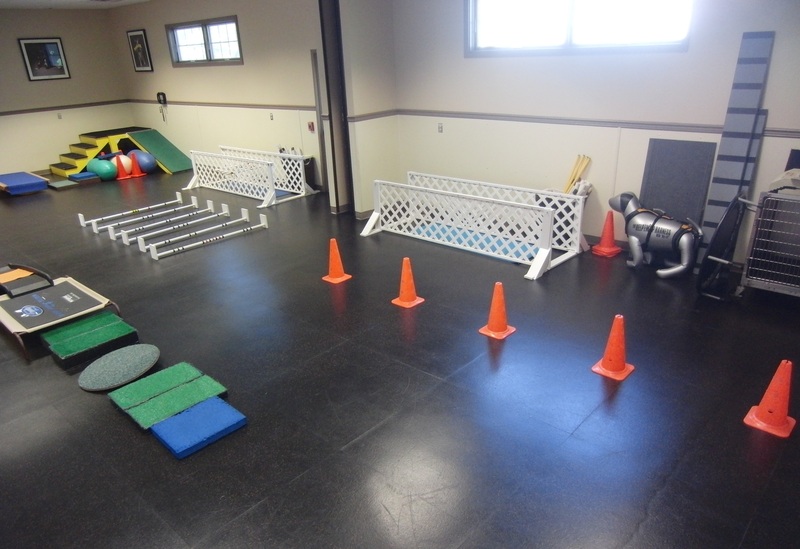 Our therapy center includes a large 20' x 50' gymnasium with low impact flooring and custom equipment. 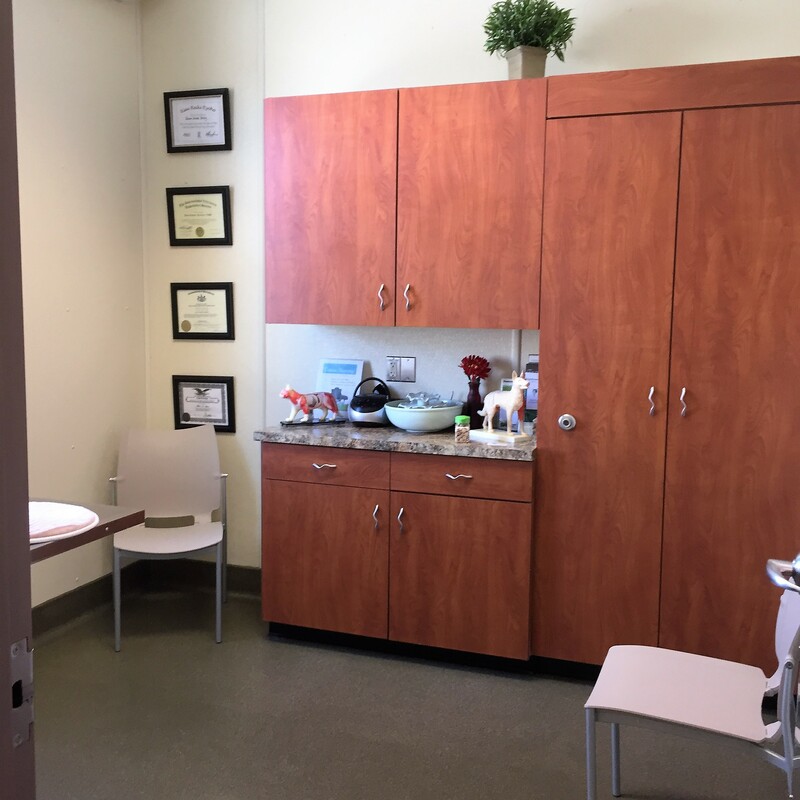 The gymnasium is equipped with a room divider, allowing us to transform the space into two separate exercise rooms if needed to accommodate our patients. 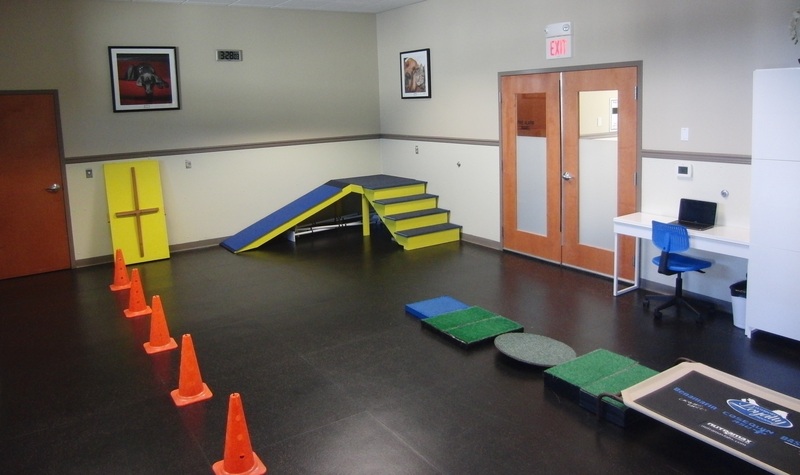 The gym contains equipment for therapeutic exercise including cavaletti rails, physioballs and discs, two climbing ramps with stairs, two chutes, balance challenge equipment, and proprioception tools. Our aquatics room houses an in-ground heated (88 degrees year-round) therapy pool (10′ x 17 , 4 ½ feet deep) with room for swimming laps, circles and against jets. 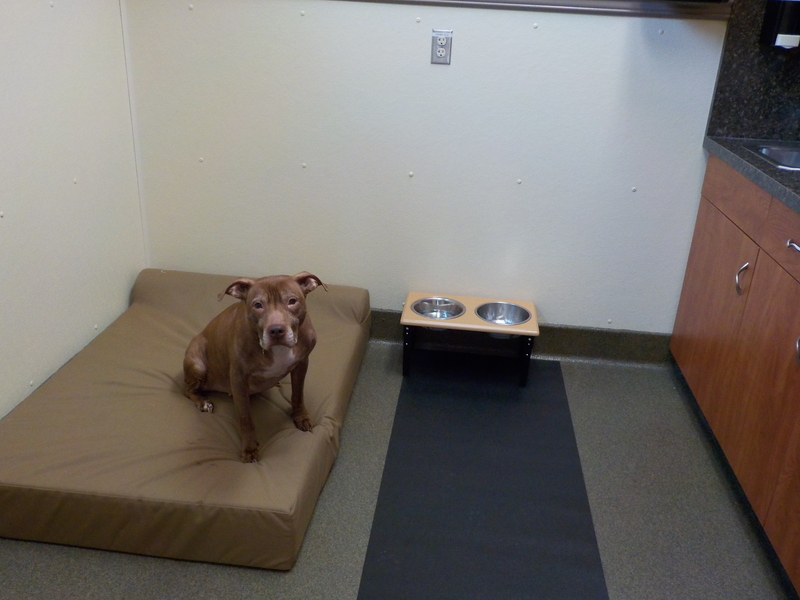 Our custom-built ramp provides easy access for dogs large and small that are experiencing difficulty walking, as no steps need be negotiated. 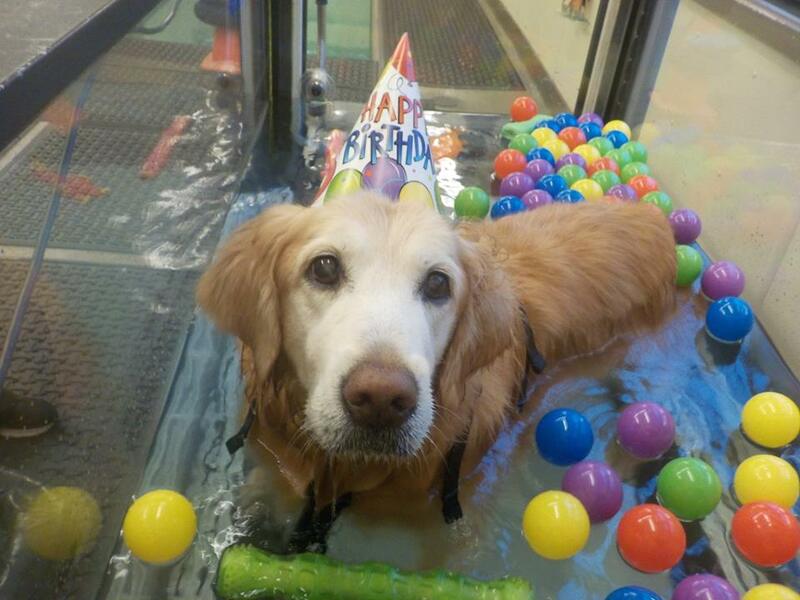 Two underwater treadmills allow us to exercise dogs in a reduced weight bearing environment at speeds from 0.1 to 7 miles per hour. Jets in the pool and treadmills can provide resistance for an increased intensity workout, or a relaxing whirlpool-type massage. 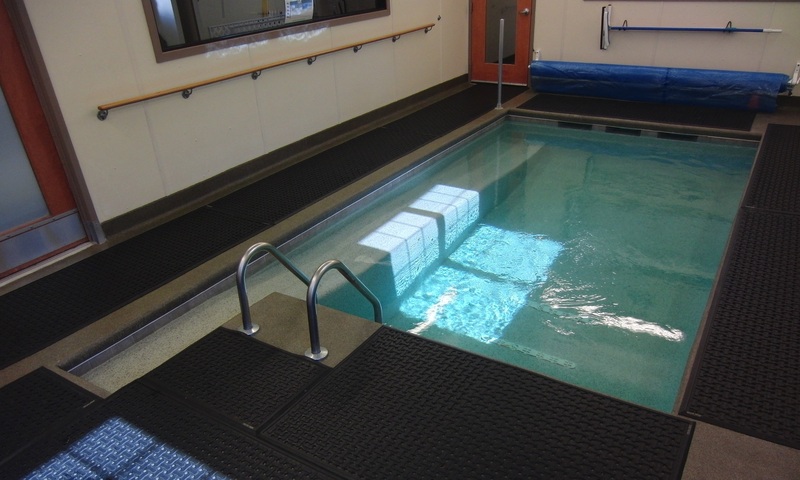 Our aquatic therapy facilities represent cutting edge technology in the veterinary world. Our unique therapy pool, a joint effort between Arrow Master Pools and the Animal Therapy Center, utilizes the latest in modern pool water sanitation devices. The two underwater treadmills and pool share the same water source, which is continuously filtered and re-circulated to ensure a safe, sanitary and comfortable environment. The water is continuously sanitized by a large bromine feeder. Bromine is a more effective sanitizing system than chlorine, as bromine is less irritating to the eyes. Augmenting the main bromine feeder is a UV sanitation system that is also continuously treating the water. This UV system kills viruses, bacteria, algae and water-borne molds. 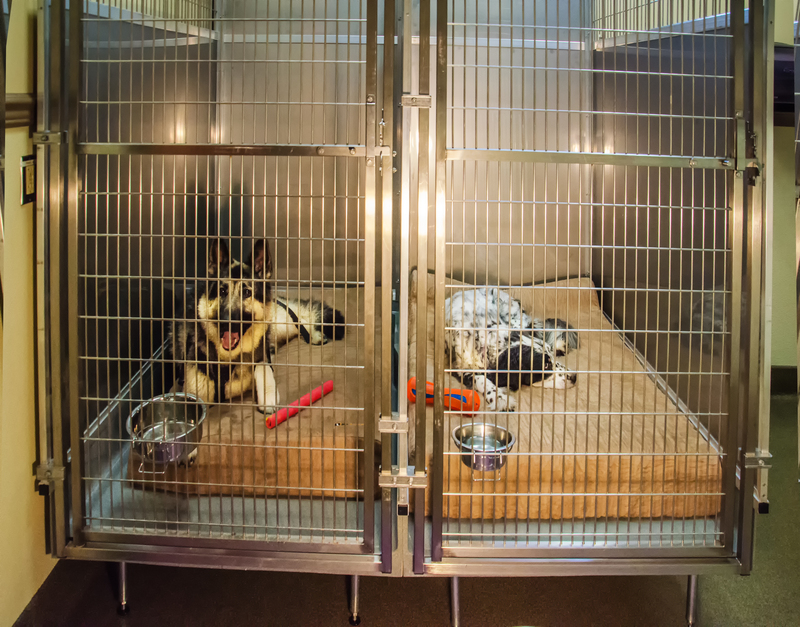 Our medical boarding wing features 3 intimate rooms featuring stainless steel cages and runs. 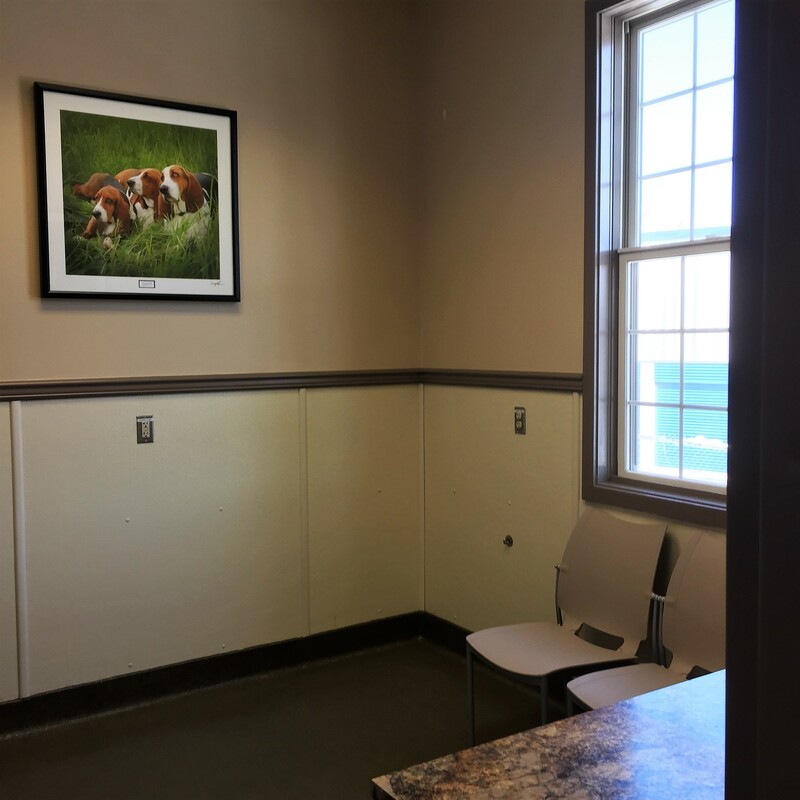 Our all inclusive boarding allows your pet to recover under the care and supervision of a licensed veterinarian and medical staff. 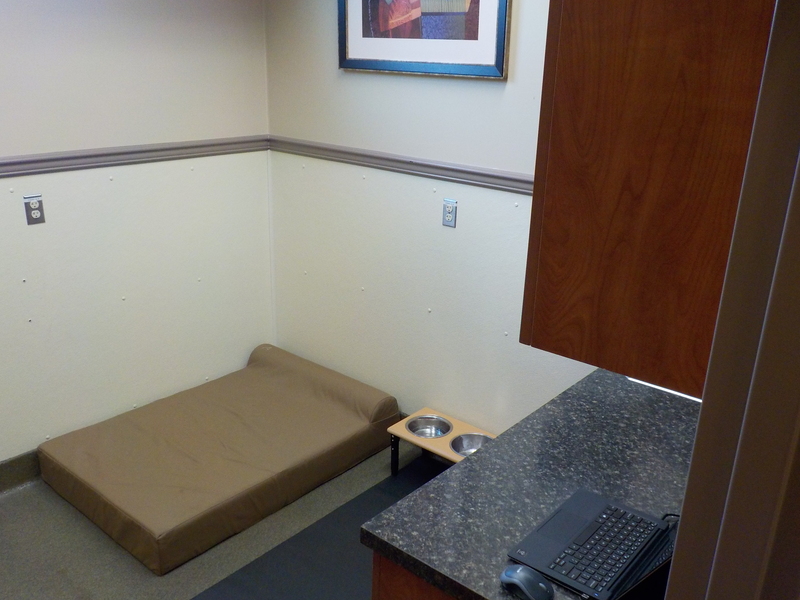 We offer orthopedic beds and an individual Suite for our larger senior patients. Learn more about medical boarding. The Animal Therapy Staff only boards animals undergoing rehabilitative treatment at our center. 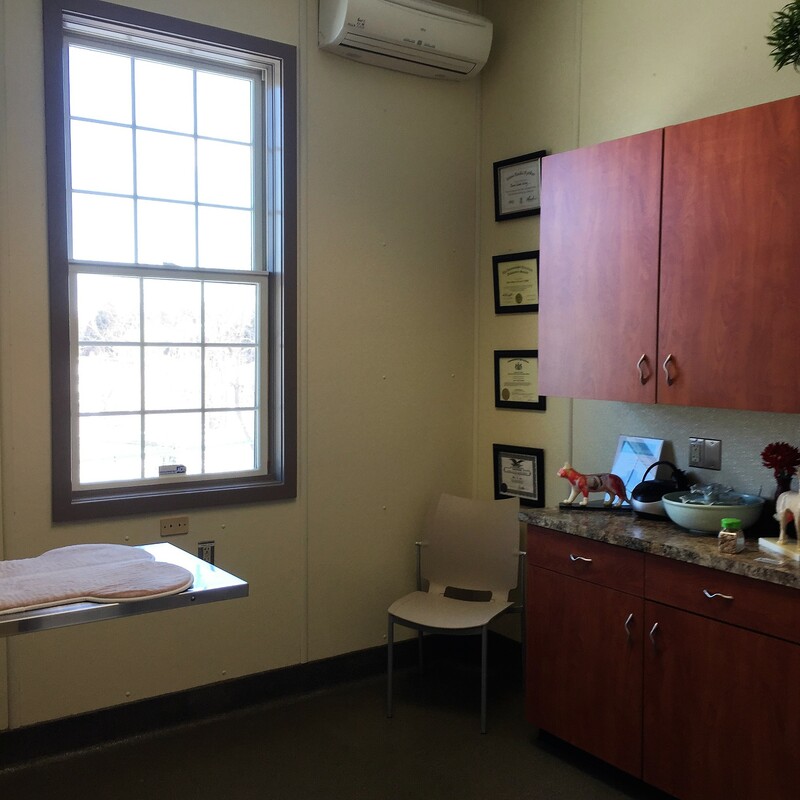 Our three treatment rooms feature cushioned beds for your pet as well as comfortable seating for you, a quiet environment and soothing music for laser, massage, acupuncture, Reiki, and other consultations and treatments. An open floor plan without any stairs along with convenient parking caters to dogs with limited mobility.